Choosing the right tools for your beauty kit is one sure fire way to nailing your makeup look. But beauties, have you ever considered where your brushes come from and what they are made of? 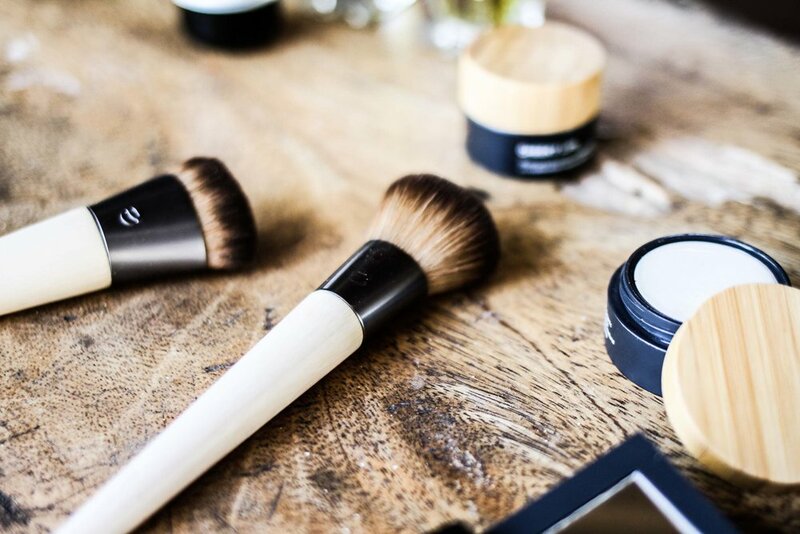 Often, the tools we use during our ever important beauty routine go unnoticed and, unfortunately, many mainstream brushes are created to the detriment of our beautiful furry friends. Here at Depths, we love to ensure the tools we are using are not only going to do the best job, but that also cause no harm to the lives of any beautiful, innocent animals. This is why we choose to use products we know are eco-friendly and 100% cruelty free. Almost all mainstream brands that create brushes made from animal hair, do so by harming and sacrificing the lives of innocent animals. The exploitation of these beautiful creatures is unnecessary and inhumane, which is why we’re so discerning about the tools we choose to buy. Synthetic products are created from hair that is handmade, such as nylon and taklon, making them totally cruelty free. Eco-tools take this one step further by also using recycled materials, bamboo handles and a passion for sustainable practices! Packed with 100, 000 bristles, the Wonder Cover Complexion Brush is perfect for achieving a smooth, full coverage look, and in minimal time - amazing! Having this bad boy in your make-up bag will cut your morning make-up routine in half. It is 100% cruelty free - of course! The handle is bamboo and made completely from recycled ingredients. We know you’ve all woken up a little worse for wear every now and then, and the struggle to brighten our eyes is sometimes a little tricky. Luckily, we’ve got this little wonder up our sleeves – the Eye Perfecting Brush. This beautifully soft, 100% cruelty free brush is your go-to for reducing fine lines and dark circles around the eyes, and here’s why. The rounded, uniquely cut bristles mimic the shape of a finger allowing for easy application around and under the eyes, without transferring oil from the hands and pulling the sensitive skin around the eyes. It’s straight, firm and sense bristles allow for optimal blending and coverage, making it perfect for tackling fine lines around the eyes and banishing those dark circles. This unique Mattifying Finish Brush is the perfect way to finish off your beautifully bangin make-up job and is ideal or controlling shiny and oil skin all day long. It contains a combo of long, straight bristles and short, wavy bristles. The short bristles pick up just the perfect amount of product, while the longer bristles help to evenly apply the product across the skin, helping to create a smooth, flawless finish. Can be used on its own to create a fresh, matte look, or to keep a full make-up look shine-free all day! A style AND smoother all in the one brush – YES PLEASE! Sometimes those luscious locks just don’t want to listen, but with a brush as amazing as this Styler + Smoother Hair Brush, you’ll be taming that mane in no time! Detangles and styles at the same time! The half-round design gives the styling feature of your typical, round brush, while the cushioned paddle works to sooth and detangle hair. Its aerodynamic Eco-Vent system, means this brush dries hair 20% faster than your ordinary brush when using while blow drying. WHAT ARE YOUR FAVOURITE CRUELTY-FREE MAKEUP TOOLS, BEAUTIES?